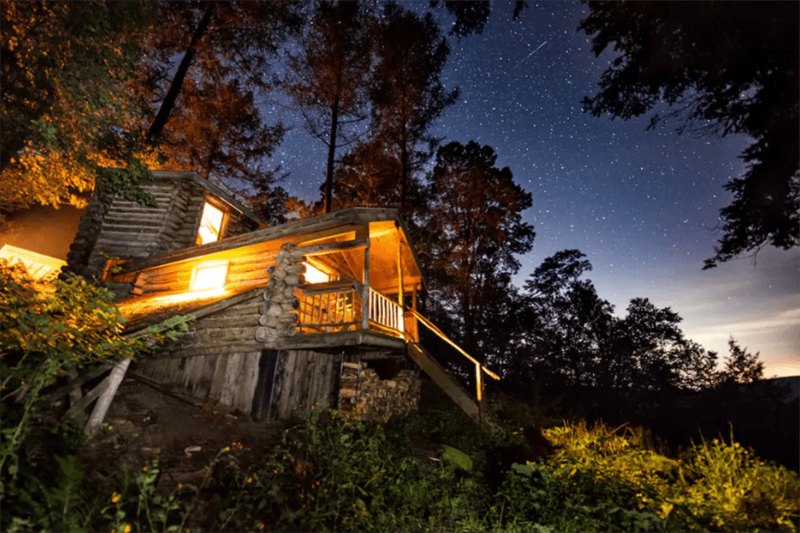 For a true escape from your daily routine, you’ll just need to hike up to this cabin in the mountains. Peaceful and secluded, it’s warmed by a wood stove. Discover well-maintained trails just beyond the front door, hop in a kayak, or grab your fishing pole. Tech-free adventure awaits. It doesn’t get much better than soaking in a custom-built cedar hot tub. 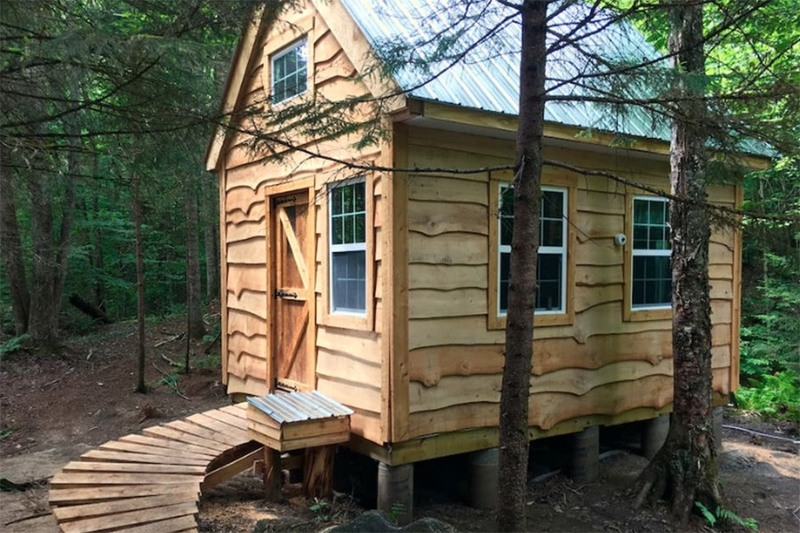 This cabin built into two white pine trees sits at the edge of Walker Pond. Staying the night comes with free use of the property’s canoe, and all the water views you can possibly drink in. This angular abode is steeped in hygge, thanks to twinkling lights, warm, cozy blankets, and plenty of tea. Outside, find a little wooden sauna that completes the relaxing (and ultra-adorable) package. Operated by Mahalo Art Center, this octagonal “temple” is a sanctuary of sorts. 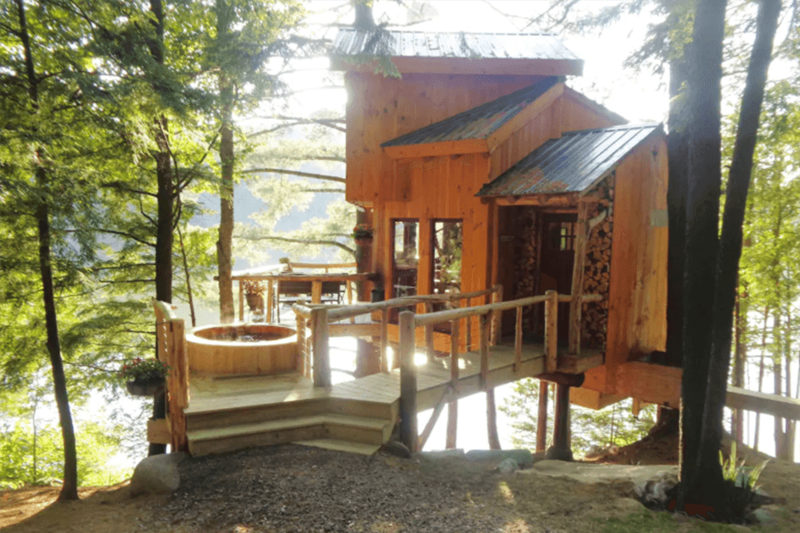 Reserved for retreats and recharging, this cabin is also off the grid. 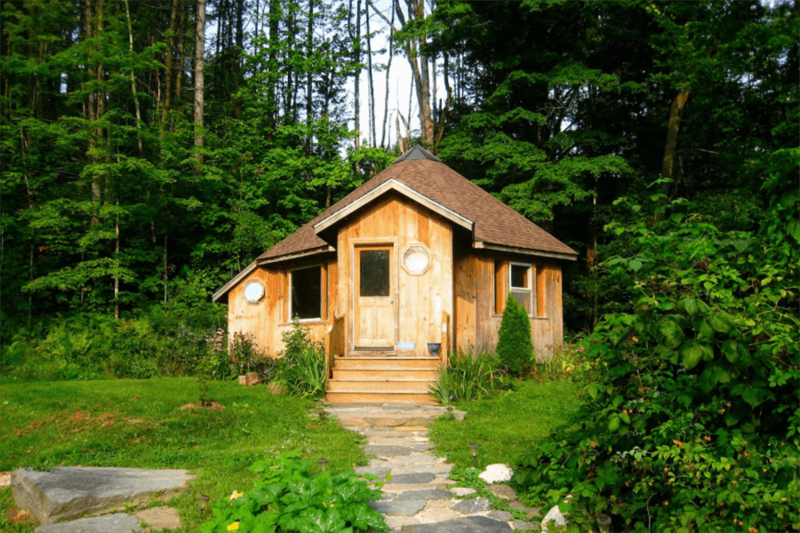 It offers the option to enjoy a guided restorative retreat with the founder of the art center. 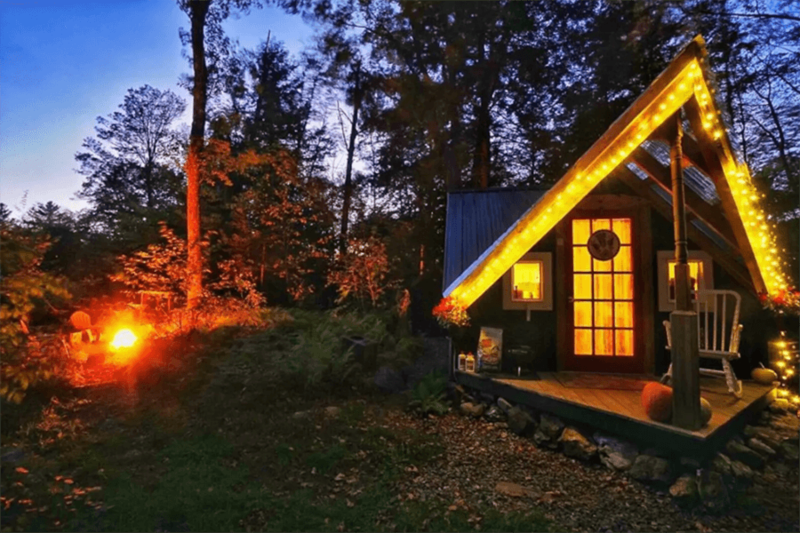 Glamp among 1,400 acres of forest in this tiny Hardwick cabin. A crystal-clear stream flows beside it, while inside, a ladder leads to a cozy lofted sleeping alcove.